I have served in student ministry, in some capacity, since 1991. In that time I have had the privilege to serve in four different churches. Each church had its own DNA and specific set of issues and challenges. Each ministry also had its share of great leaders and students eager to see God move. One the most amazing things to me in all of my service to students is that every single student ministry I’ve served in has grown numerically. While I have seen some decline and plateauing moments at times, the net result of my time at a church always resulted in growth. 1. Evangelistic Discipleship. 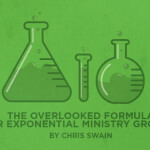 When it comes to growing your ministry the first thing that comes to mind might be a big event. Or maybe a strategy that leads to your students inviting their friends. While neither of those things are bad, they will not lead to growing your ministry for the long haul. Sure, a big event will get more students in your building. But what will keep them there? Certainly not more of the same. One important fact I learned about ministry early on was this truth: What you use to reach them is what you will have to use to keep them. So if the big event is your key strategy, then get used to trying to do bigger and better and more and more to keep it going. Many student pastors do just that. And then, when the ideas and events dry up, they leave and go to another church to do it all over again. A better approach is to be evangelistic in your discipleship. This is actually the way the very first small group operated. When Jesus started to build His small group he called to the disciples and said come follow me and I will make you fishers of men. Think about this: these men were not already disciples of Jesus. They were not even believers. They were, at best, good Jews. So Jesus went after the lost with the message of teaching them to reach other lost people. Jesus’ discipleship was not separate from evangelism. The two worked together to reach the community, region, and, ultimately, the ends of the earth with the gospel. If you are a Christian, then this method, starting with Jesus, worked to reach you! How does this look in your ministry? You must build your ministry around a sustainable, kingdom-expanding discipleship model. This will look different depending on where you are doing ministry. In a rural area, you might make this happen through a traditional Sunday School model. If you are in a metro area, then a more organic, community group approach might work best. Regardless of the event itself, focus on evangelism (outward focused ministry) that happens in and through the discipleship (spiritual growth) process. Evangelistic discipleship will work to grow your student ministry in ways big events never will. Students will never look at discipleship as simply attaining knowledge. Likewise, they will never see evangelism as some program or strategy but as an outflow of natural discipleship. Just like Jesus did it. 2. Equipped and Unleashed Leadership. Are you a student pastor? Teacher? Believe it or not you are not called to do the work of the ministry by yourself. You are called to equip the Saints to do the work of the ministry. Check out Ephesians 4:11-12 for clarity on that calling. What this means for us is that we must maximize our role as equippers over our other roles. Sure, you may serve in various ways in your ministry, and that is just fine. Unless it interferes with your primary calling of equipping those in your church to do the work of the ministry. Like I said before, in every church I have served, each one experienced growth – at times explosive growth. None of this was separate from the work of God as He used His people to accomplish His will. 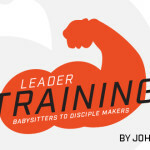 Our role is to be used by Him to train and unleash the leaders in our midst. None of the growth I experienced was apart from having an awesome group of committed adult leaders who were willing to pour their lives into students. All of the growth that I have seen was a result of God using this often ragtag group of leaders. 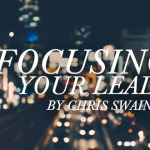 While you probably know that you need leaders to grow a ministry, let me elaborate on a couple of points that you might not have thought about. 1. One adult per ten students. Whether it is your group ministry, or your midweek worship event, shoot for this ratio: 1 leader per 10 students. I have no idea why this works. I have no hard data to prove that there isn’t a better way. But I can speak from experience that unless you work toward this ratio your ministry will lag behind in growth, or that the growth you do have will be temporary. I think there are two reasons for this: 1. I believe that God will not send more students your way if you don’t have the leadership to minister to them. 2. I believe that Jesus led His group about this same ratio for a reason and with a purpose. Once you get beyond about 10, you have a difficult time truly connecting with your students. Shoot for a 1:10 ratio and you will grow. Just try it. 2. While you certainly need to be on the lookout for new leaders, teach your leaders to recruit leaders. There should never be a time when you say, “I think we have enough leaders.” Saying that is resigning yourself to the fact that you will not grow. Always be recruiting and unleashing new leaders. But train your existing leaders to do this as well. Your best leaders will be the best people to promote what is happening in the student ministry. Only they can share their story with a passion that comes from the heart. Pick two or three of your key leaders and ask them to try to recruit one or two other leaders in the next few months. Give them a goal, check up on them with that goal, and most importantly, pray for them as they press toward that goal. When your leaders begin to grow your leadership reach, you will have the army of leaders you need to impact your community for Christ. A pastor once said that he could attract a crowd by having a fight in the parking lot. “While this is true”, he said, “it probably isn’t the kind of ministry you want to be involved in.” His point, and it is a great one, is that growing our ministries must be about more than just drawing a crowd. While others might argue that, without a crowd, you won’t have anyone to respond to the gospel when you share it. I believe the best approach is the same one Jesus used – evangelistic discipleship led by equipped leaders unleashed to live out their calling. Students will not just attend a ministry like this, they will grow and reach out to their friends because of the substance of ministry. Students know when you are just using them to get their friends to the building or to an event. They aren’t stupid. Don’t be the church that values shallow discipleship and giant crowd-catching events over spiritual growth and depth. You can do both, but you must have the priorities in order. Follow Jesus’ model and you will experience growth in your ministry that lasts beyond the hype.